EduNews.xyz started in early 18-July-2015 with full motivation to create a something big platform for students who pursuing education. EduNews is specially targeted for aspirants who want Govt Jobs. 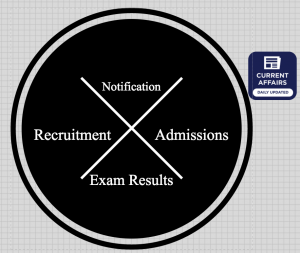 This website side by side also focused on Recruitment Notification, Online Application Form, Entrance exam, Admit Card, Admissions, Answer Key, Sample Paper, Syllabus, Cut Off Marks, Date Sheet, Entrance Test Result, Board Results and University Results etc. EduNews Team conveys its Best Wishes to all Career and education seekers in their goal to achieve every milestone in their efforts!